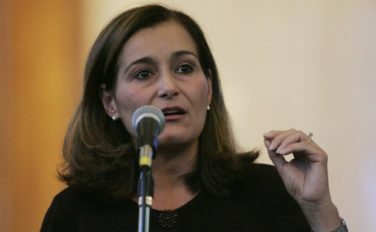 PG&E’s former chief executive officer was given a $2.5 million cash severance on the way out the door even though she was at the helm of the embattled utility during the disastrous and deadly infernos that roared through Northern California in 2017 and 2018. PG&E this week announced the end of Williams tenure as CEO, less than two years after she took on the role in March 2017. Other PG&E executives have left with large payouts, as well. Nick Stavropoulos, who retired in September 2018, was president and chief operating officer of Pacific Gas and Electric, the utility operation of PG&E. Stavropoulos was eligible for a $6.9 million cash payout for his retirement, according to an official filing with the Securities and Exchange Commission in 2018. From 2012 through 2017, PG&E allegedly falsified an array of records related to its gas pipeline system. Stavropoulos was the executive in charge of gas operations or was the head of the utility during those years. The Public Utility Commission in December opened an investigation after it had discovered evidence of flawed record keeping. The revelation about the gas system records was an eye-popping disclosure, since it came years after the 2010 explosion of a PG&E gas line that killed eight and destroyed a San Bruno neighborhood. Federal investigators determined that PG&E’s shoddy maintenance and flawed record-keeping, along with lazy supervision by the state Public Utilities Commission, were the causes of the explosion. In 2016, a federal jury convicted PG&E for crimes it committed before and after the San Bruno explosion. These are far from the only golden parachutes from PG&E to executives who became lightning rods for criticism. Former PG&E CEO Peter Darbee received a $34.8 million severance package even though he presided over the company at the time of the lethal explosion in San Bruno. Former PG&E CEO Anthony Earley, Williams’ predecessor, received a $10.4 million severance when he retired as chief executive in early 2017. Earley was head of PG&E during some of the years when PG&E allegedly falsified gas system records. After PG&E emerged in 2004 from its 2001 Chapter 11 bankruptcy reorganization triggered by the energy crisis and distorted electricity markets, Michael Peevey, then president of the powerful PUC, crafted a deal with PG&E that resulted in higher rates for PG&E customers, causing monthly bills to jump by a total average amount ranging from $1,300 to $1,700 over a 10-year period. Former PUC commissioner Loretta Lynch voted against that package. She hopes for a better outcome for the next PG&E bankruptcy.